I can't believe I forgot to share this amazing life event with all of you: We bought our first house! Yippie! Along with this crazy adult decision came something I've always wanted: My own craft room! 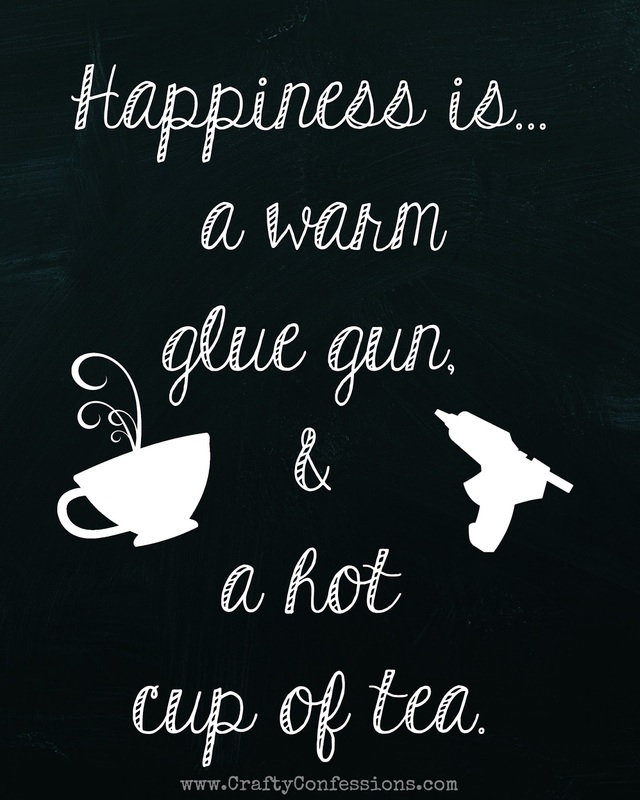 I'm loving my new sanctuary, and have found there is nothing like drinking a hot cup of tea in your very own space. 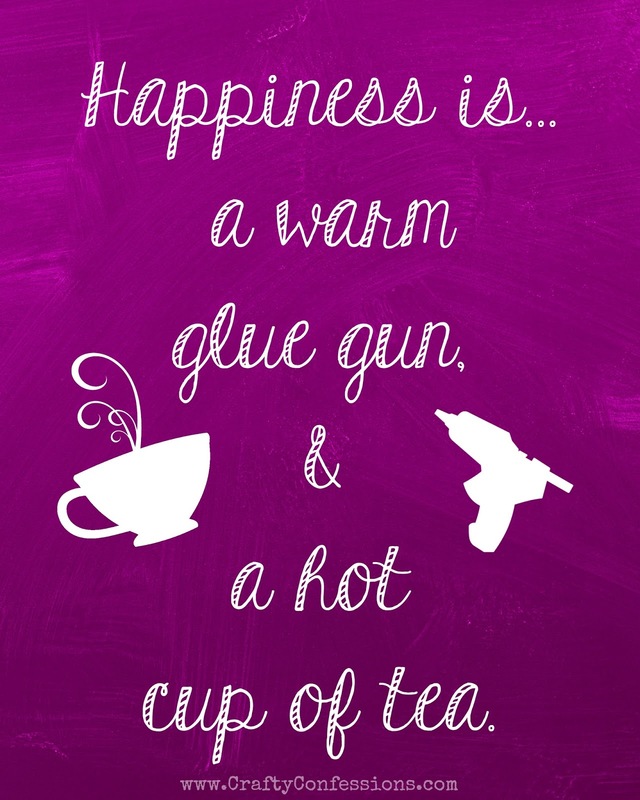 This is what inspired my latest printable: Happiness is a warm glue gun and a hot cup of tea. It's available in a dark and bright colors to match your special space. Just click and save the image, and print onto sturdy cardstock. I enjoyed over read your blog post. Your blog have nice information.I want to visited again.Thanks for sharing with us. It’s awesome to come across a blog every once in a while that isn’t the same out of date rehashed information. This is because I really wanted a pair of easy to put on, no fuss, no extra buckles and laces super warm winter boots. They seemed to fit the bill and didn't look ... regardless of the size of the computer, most operating systems provide similar functions.